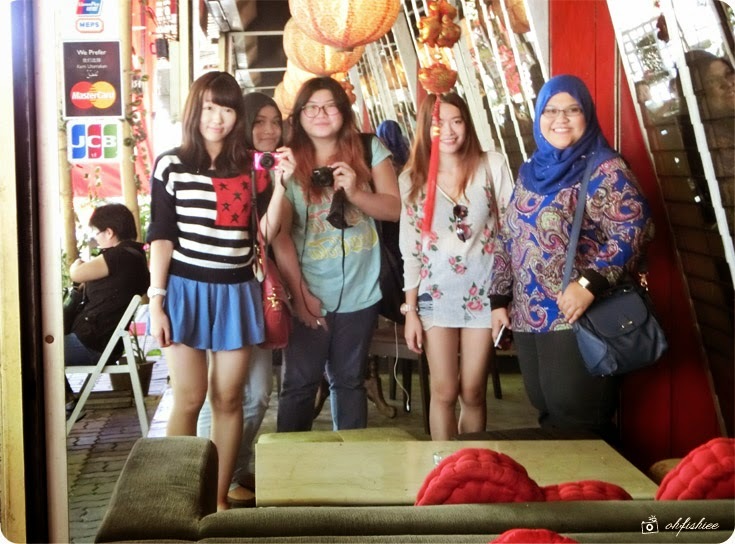 During my beauty adventure at Langkawi with Paul Penders, the owner of the beauty brand was so kind to bring us around the town and explore many tourist spots. I felt ashamed for being a Malaysian who needs an American as the tour guide over the weekend. 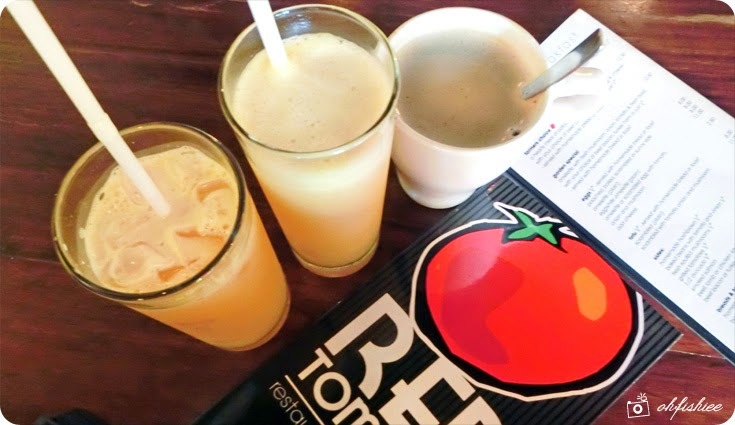 On a sunny weekend morning, we were here at Red Tomato Restaurant & Lounge, one of the hottest spot for breakfast among the locals and tourists. 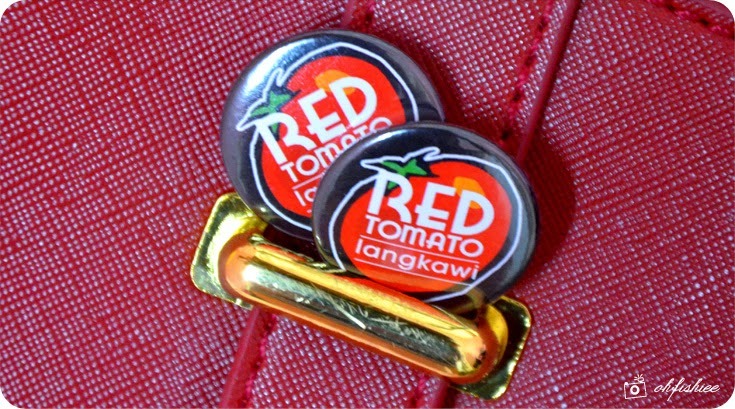 We were told that it is one of Langkawi's oldest and best known reastaurants, located almost opposite McDonalds in Pantai Cenang. I can say the street is pretty happening with loads of good food and great bargains. A shopping haven for beach wears and local crafts. 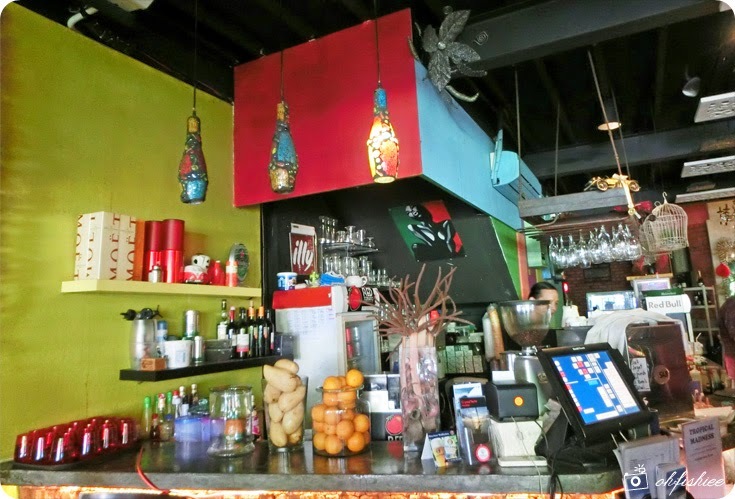 Inside the outlet, you will enjoy the cool comforts of the modern interior surrounded by the vibrant blocks of walls beautifully decorated with colorful paintings and glass ornaments that welcomes us warmly and makes us feel comfortable like home. 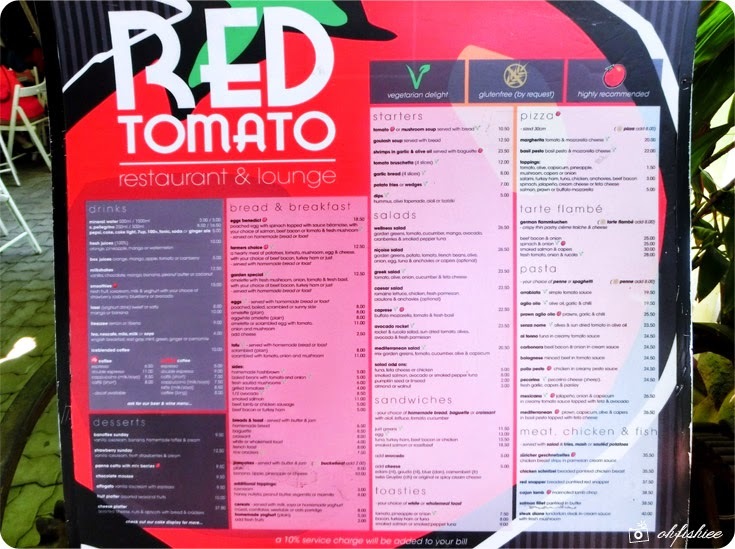 Offering all day dining, the Red Tomato restaurant has its own repertoire of a’la carte offerings which range from the simple heartwarming soups and sandwiches to Italian favourites such as pizza and pasta, and well-loved Western dishes like salmon fillet, chicken chop and steaks. Don't forget your morning dose of the signature coffee there too! If that is not your cup of tea, you can choose from their extensive beverage list where you can pick whatever that suits food pairing and individual taste. 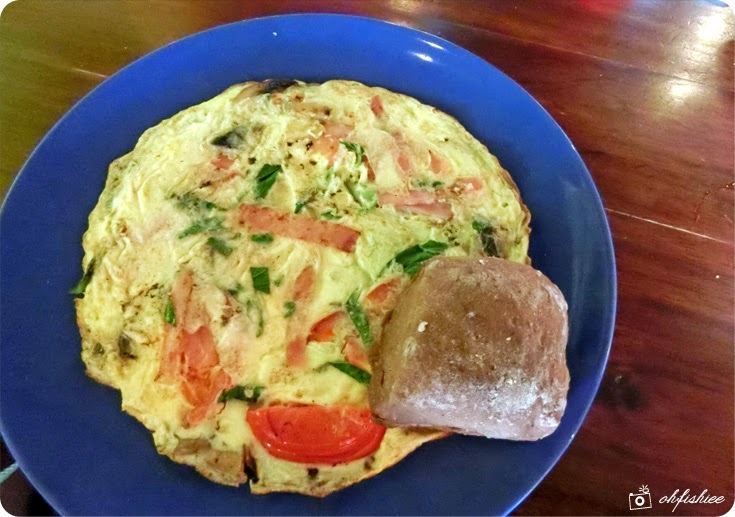 Served with homemade bread or toast and butter, it was a well-stuffed omelette with fresh mushroom, onion, tomato and fresh basil with a choice of beef bacon, turkey ham or just plain vegetarian. The ingredients were well-mixed together and the taste was rich. Even the sweet onion was crispy. 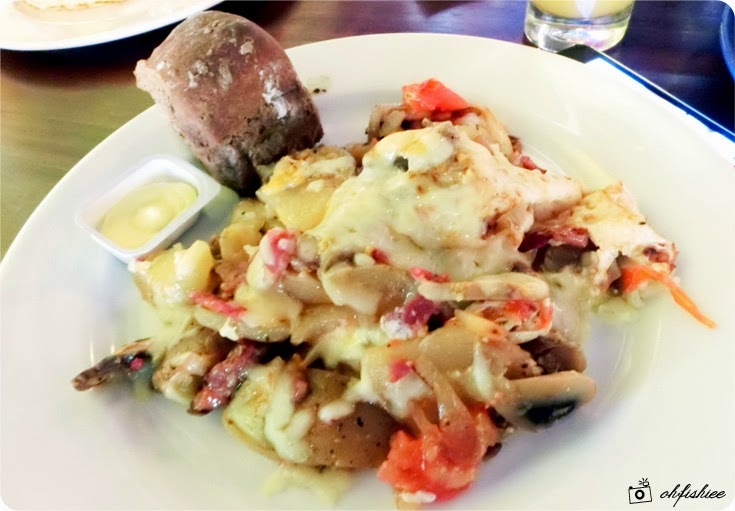 Certainly a must-try dish when you visit the restaurant. 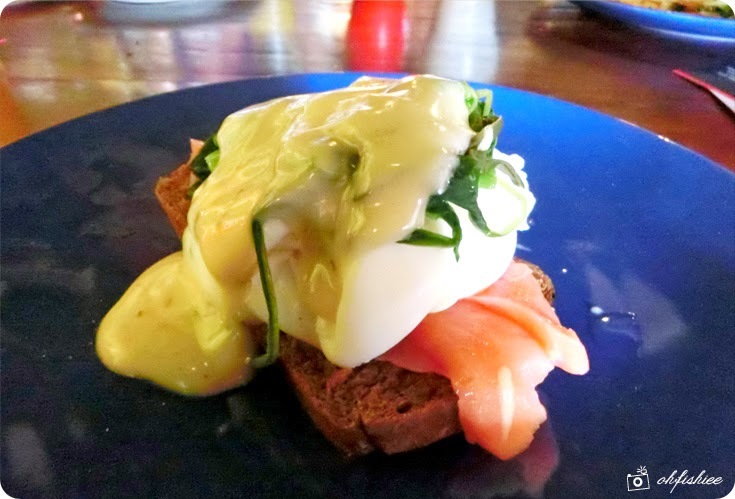 Whenever I visit a breakfast place, I'd definitely order eggs benedict, but not many places can make perfect poached egg and sauce. 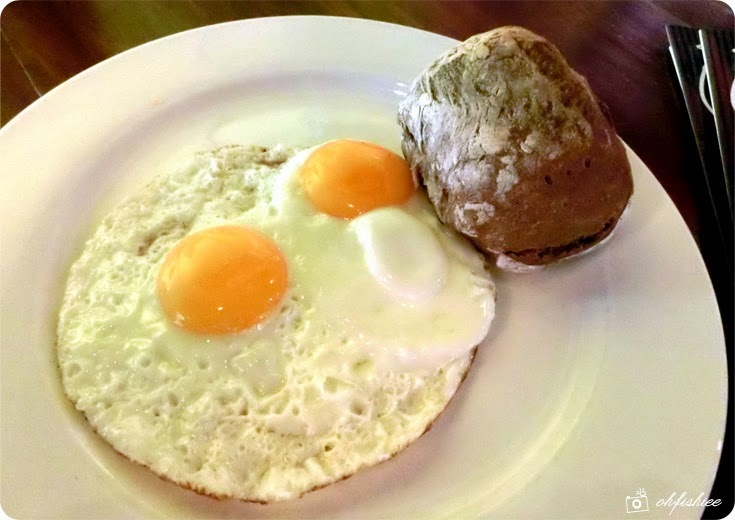 Here the eggs were acceptable, just very slightly overcooked. However when it was crowned with spinach and house special bearnaise sauce, I was totally sold. The sauce was so creamy and exuded delicious scent of spices. Sitting beautifully on a homemade toast, the serving of smoked salmon was generous and filling. 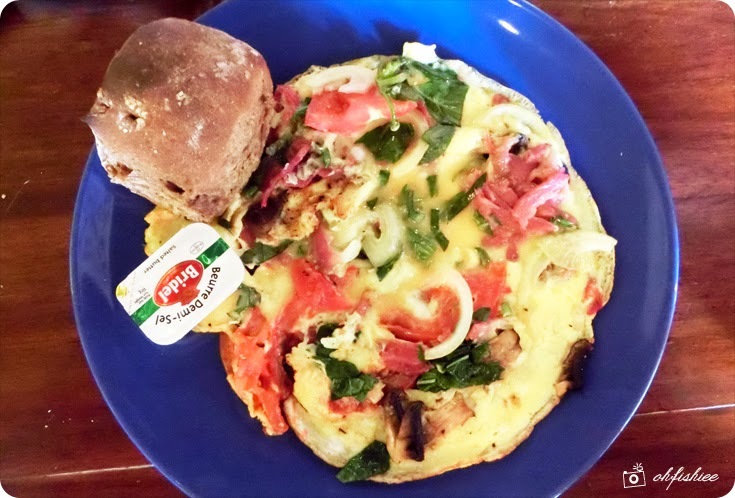 For regulars like Paul Penders himself, the restaurant owner ordered a complimentary egg with bread for him. He even came to greet us personally and took some pictures with us. in front of the restaurant is more spacious and perfect for both day and night time! Let's have one group shot with the girls after a sumptuous morning feast! 1. 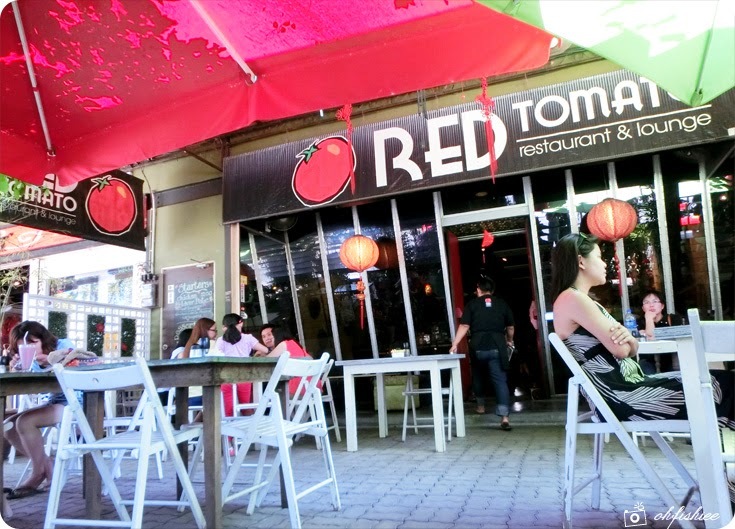 Red Tomato is a great dining venue for a casual breakfast and drinks in the evening. 2. Overall, the service was quick and the waiters were very helpful and informative. 3. Pricewise, it falls in the mid-range considering its location at a small town in Langkawi.